We are so fortunate to be part of a community where celebrating the accomplishments of our students and our alumnae is a regular occurrence. We are equally fortunate to have staff and teachers who also deserve to be celebrated in their own right. May 7th will mark the release of Kings, Queens and In-Betweens, published by Simon & Schuster, the debut novel by Senior School English Teacher, Tanya Boteju. 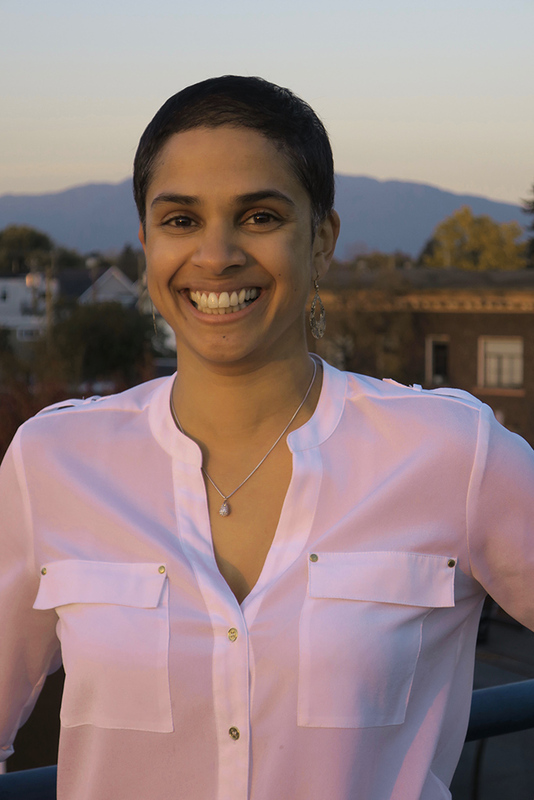 Tanya Boteju was born and raised in Victoria, BC, where she attended St. Michaels University School. She came to Vancouver after high school to attend the University of British Columbia where she completed her Bachelor of Arts in English as well as her Bachelor of Education. She joined York House School in 2003 where she has taught English and Creative Writing ever since. While teaching at York House, she also completed her Master of Arts in Educational Leadership from Columbia University’s Teacher College. Most recently, Tanya received a Creative Writing Certificate through Simon Fraser University’s Writer’s Studio. In spite of her obvious credentials, it wasn’t until only a few years ago that Tanya began to entertain writing a novel. It is almost surprising to hear that it took that long but when you think about the deeply personal process of writing a novel you can begin to understand the commitment and courage that it takes to put pen to paper. Tanya also found it challenging to squeeze in writing alongside full-time teaching. But on her road to becoming an author, it is her students that she attributes to being a constant source of inspiration. 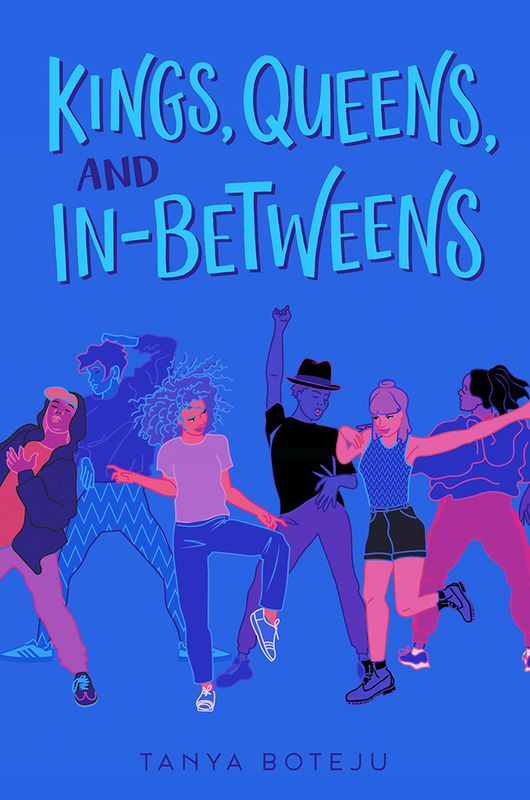 Kings, Queens and In-Betweens is described as a poignant, laugh-out-loud tale of acceptance, self-expression, and the colourful world that awaits us when we’re brave enough to look. It is a story about perpetually awkward Nima Kumara-Clark who is bored with her insular community of Bridgeton, in love with her straight girlfriend, and trying to move past her mother’s unexpected departure. After a bewildering encounter at a local festival, Nima finds herself suddenly immersed in the drag scene on the other side of town. New love interests and surprising allies propel Nima both painfully and hilariously closer to a self she never knew she could be—one that can confidently express and accept love. But she’ll have to learn to accept lost love to get there. Much of the writing of Kings, Queens and In-Betweens was done in Cafe Deux Soleils, a fixture of the Commercial Drive neighbourhood that Tanya has lived in for almost 20 years now. It was a safe, open-minded space where she could bring her characters to life. It is only fitting that Cafe Deux Soleils will be the location of one of her book launch celebrations in May. As she put pen to paper, Tanya also enjoyed sharing her thoughts with her wife, Jennifer, along the way. Tanya valued her feedback but sometimes, the characters would change and on the next read Jennifer would be left saying, “What happened to so and so?” Tanya soon found herself listening to Stephen King’s advice not to share with anyone until you have a first draft, not even your wife. When the time was right, Tanya wrote to 10 different agents seeking representation. She focused on those interested in diverse representation in literature. In the end, it was the agent that was the first to get back to her (one recommended by Eileen Cook) that she went with and she has been exceptionally happy with her choice. She signed with Simon & Schuster in the fall of 2017 and completed the editing process one year later in the fall of 2018. There is no question that the timing of this book is very good. Never before have the issues of diversity been so front and centre for young people, coupled with a desire to find their place and their voice in a very noisy and complex world. This is exactly why it is so important to have authors in the young adult genre who write from a place of deep respect for young people. The month of May promises to be an exciting time for Tanya as there will be a number of book launch celebrations. But the excitement won’t stop the day the book is released; Tanya already has a contract from Simon & Schuster for her next YA novel. Her current editor made it clear early on that she wanted to continue working with her. Even before Tanya was formally signed for her next book, she invested considerable time giving Tanya feedback on initial drafts. This is certainly a strong vote of confidence! Various influencers and bloggers already have advanced copies of Kings, Queens and In-Betweens, and have already provided some very positive response. Over the summer, in addition to continuing to work on Bruised, she plans to hit the road to help promote the novel to independent booksellers up and down the west coast. It is truly inspiring for anyone who may be considering writing a novel, a poem, or even a play, that every step along this journey has been so filled with such positive learning and growth. We feel very fortunate that our Yorkies will get to learn from her experience as a published author. We are incredibly proud of Ms. B’s great accomplishment and are excited to see her career as a writer continue to thrive. Congratulations!